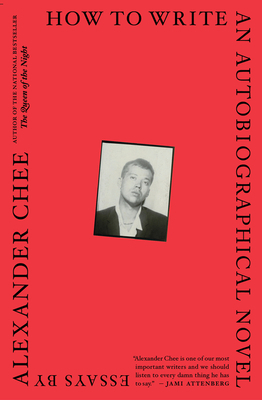 How to Write an Autobiographical Novel is novelist Alexander Chee’s first collection of nonfiction, a manifesto on the entangling of life, literature, and politics, and how the lessons learned from a life spent reading and writing fiction have changed him. In these essays, he grows from student to teacher, reader to writer, and reckons with his identities as a son, a gay man, a Korean American, an artist, an activist, a lover, and a friend. He examines some of the most formative experiences of his life and the nation’s history, including his father’s death, the AIDS crisis, 9/11, the jobs that supported his writing—Tarot-reading, bookselling, cater-waiting for William F. Buckley—the writing of his first novel, Edinburgh, and the 2016 election. I have a small confession: despite my admiration of Alexander Chee as a person and a writer, I haven’t yet read either of his novels. But! You do not need to have read Chee’s fiction to appreciate this masterful essay collection. And regardless of the title, this book is not aimed solely (or even mostly) at writers. It’s really a book about being human—the ways in which we create ourselves in life and in art, how to exist and thrive in a world that is often unforgiving and sometimes downright hostile, and how to keep going, day by day, year by year. How to Write an Autobiographical Novel is just about perfect. I saw myself in many of these essays, and I think you will too.